Many bar owners and organizations make sure that your night in Lignano will be filled with fun and laughter while always respecting guests who wish to relax in tranquillity during their vacation. American bars, discotheques, clubs, piano bars, beach bars, night bars, casinos, concerts and beach parties enrich the nights of all young and adult lovers of of night from dusk till dawn. For all young tourists who want to dance on the beach throughout the night there is live music and club music mixed by internationally renown DJs, cocktails, drinks and of course beach parties. Evenings under the starlit sky will turn into wonderful nights that make your vacation in Lignano an unforgettable experience. All lovers of classical music, opera, theatre shows and live music can choose from a large program. Various events take place in different locations such as piano bars or open-air in a magical atmosphere. 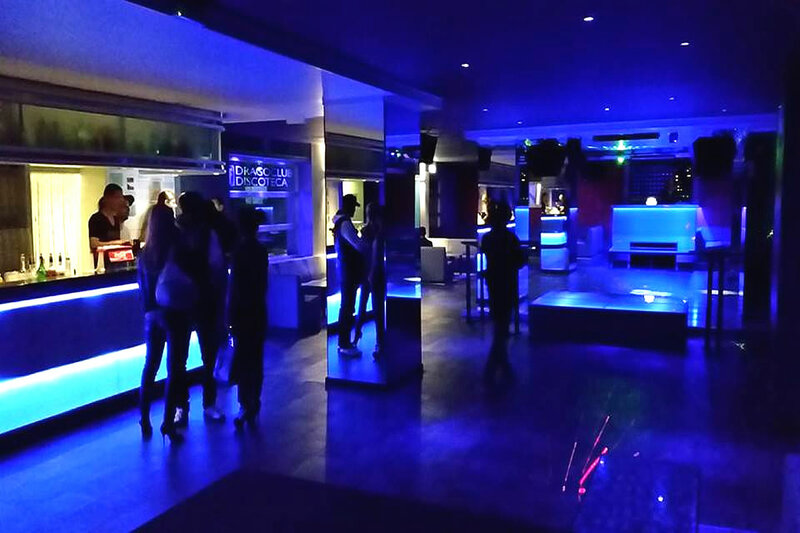 The discotheque Mister Charlie in Lignano Riviera is elegant, prestigious and very chic. This night club is different from all the others in Lignano due to its unique fusion cuisine offered at the restaurant "Charlino" and due to its magical retreat under the starlit sky. Glamour is the key to success of this bar. The clientele visiting this modern club is considered sophisticated and demanding. The unique mix of character, comfort and atmosphere make this night club one of the top locations in Lignano – come and experience the fascination of this exclusive night lounge. One of the best clubs in the region Triveneto surely is the very unique Kursaal Club. 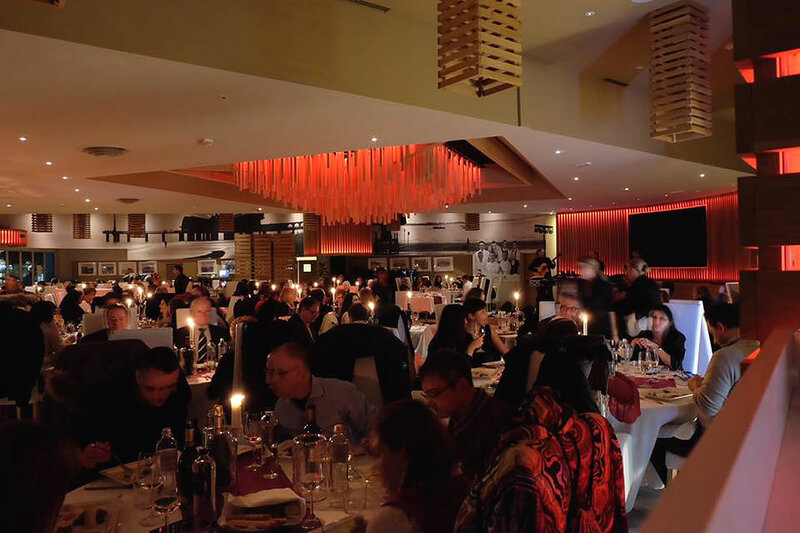 Once meeting point of the young tourists from all over the globe the Kursaal Club is now a modern club that is loved by its visitors for its exclusive location right by the Adriatic Sea. The club is divided up into two main halls with large windows facing the sea. Comfortable lounge furniture allows you to relax and observe. An outdoor area with its swimming pool is a perfect place to relax and to enjoy the magical atmosphere by the beach at night. The private beach right behind the Kursaal Club in the scene for Sunday night "Mokambo", the beach party with DJs, dance and drinks taking place between 5 p.m. and 1 a.m. every Sunday. This is the perfect moment to dance on the beach and view the sunset by the sea! 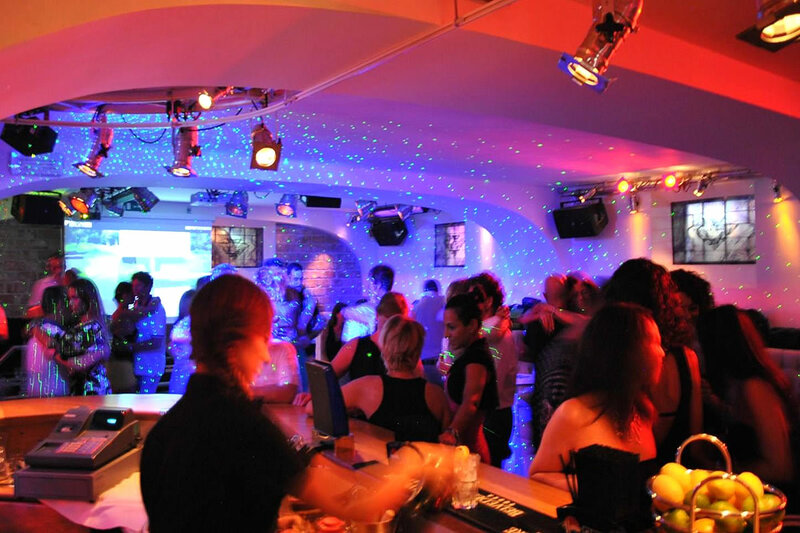 Drago Club is the perfect place to spend a sociable evening with your friends. 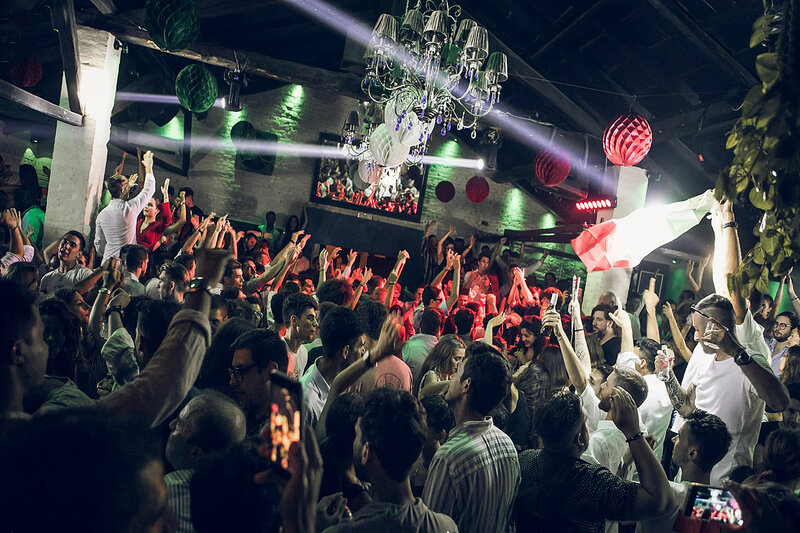 Since the 1960s, this club has been one of the most trendy locations of Lignano and is still considered one of the best clubs attracting a young audience that wants to have fun during theme nights and many other events. Barkeepers create delicious drinks for you and your friends. A night filled with laughter is guaranteed at Drago Club. Disco Italia, a typical discotheque, is located right within the heart of the historical city center of Lignano Sabbiadoro. This night club is made for tourists who want to get to know new people and dance throughout the night on one of the two dance floors: one big hall offers surround sound featuring up-to-date summer songs; the other large non-smoking hall is dedicated to lovers of Latin American tunes. This modern club has been renovated recently. 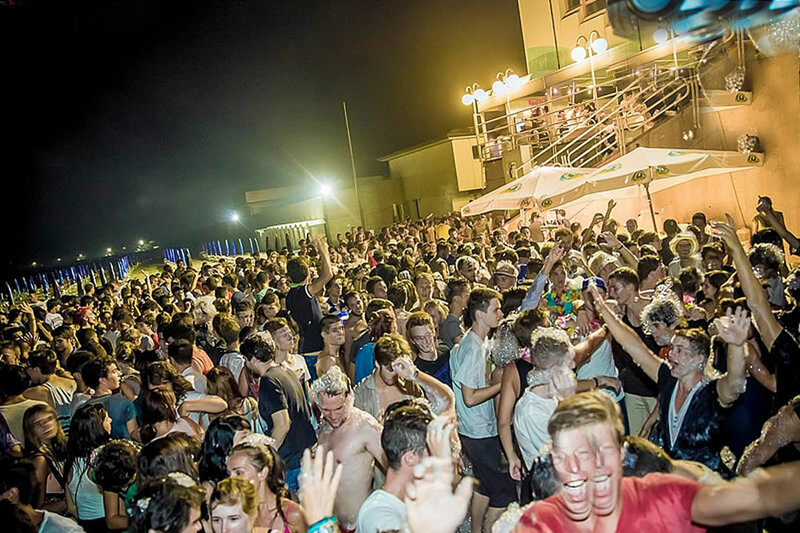 "Il Mokambo" was the first beach party ever held in Lignano and ever since 1997 guests can take part in these unforgettable Sunday nights. Once a week the party starts at 6 p.m. 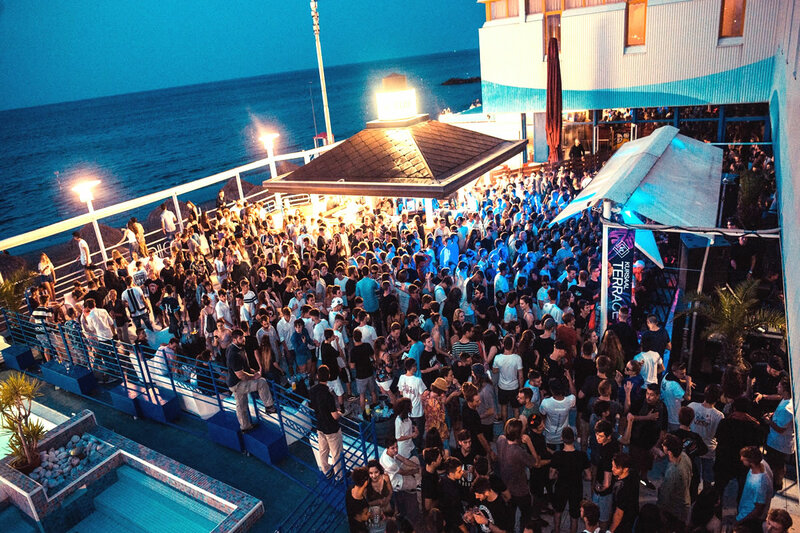 Right on the beach by the Kursaal Club with up-to-date chart music and internationally renown DJs such as "Bob Sinclair", "Fatboy Slim" and many others. The party ends at 0.30 or 1 a.m. Drinks and beer make the party complete and contribute to the perfect ending of your vacation weekend. Another beach party with music and DJs takes place at Aurora Bar by the beach establishment number 5 in Lignano Sabbiadoro near Terrazza Mare every Tuesday night starting at 10 p.m. from June to September. Come and dance under the starlit sky and enjoy drinks in company with your friends in this magical and mega-chic atmosphere between palm trees and gazebos. 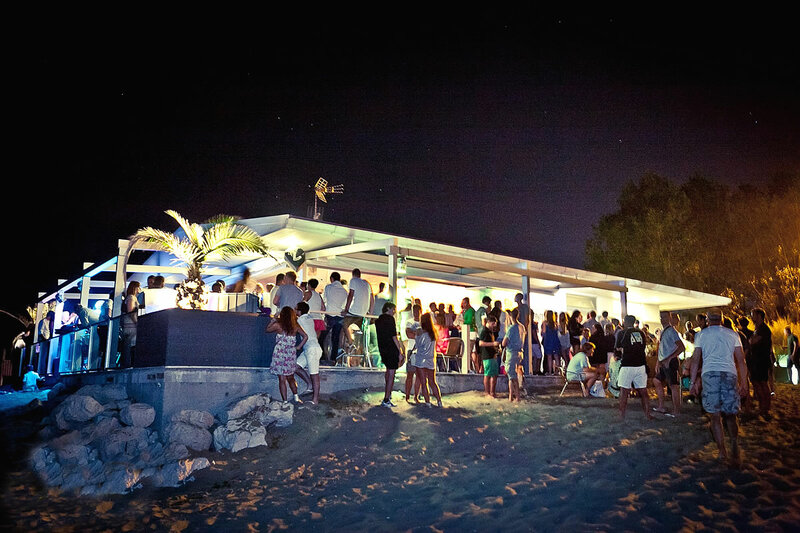 A novelty is the Beach Party of Lignano Sabbiadoro, with great drinks on the seashore. The Beach Party Punta Faro was named after the location where the famous red lighthouse Punta Faro in Lignano is situated: a great location in a quiet area near the port. Meeting time is on Sundays starting at 7 p.m. until late at night. Famous DJs, a free buffet and a stream of drinks await those guests who would like to spend a night in the company of friends. You would like to dance bare foot in the sand and on the shore, feel the waves under your feet and enjoy wonderful tunes under the starlit sky? This does not have to remain a dream but can become reality at Lidocity Bar Restaurant by beach bath number 13 in Lignano Sabbiadoro. Every Thursday night starting at 10 p.m. you can be the guest at “MOVIDA”. Come and take part in this unique night that will always remain a wonderful vacation memory even when you will be back at home. "Terrazza a Mare" is and has always been the symbol of Lignano Sabbiadoro. This architectural landmark has been renovated and modernized several times throughout the years. In front of Piazza Fontana the Terrazza a Mare is built into the sea and offers a panoramic view onto the peninsula of Lignano. Tourists and locals love the view and come often for a walk, to dine at the large and newly renovated restaurant or have a drink at the bar. Guests can enjoy the stylish atmosphere of the restaurant and of the sun deck or get in shape at the fitness area. Every night the bar turns into a club where party guests can take part in theme nights more than four times a week. Tenda Bar is the perfect place to meet old friends or make new friendships while having a beer or a fancy drink. 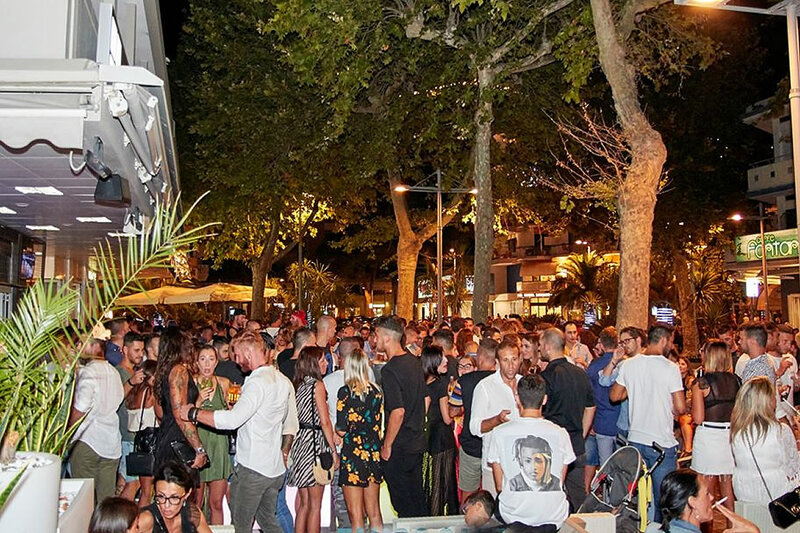 When the weekend is coming up the Tenda Bar turns into a huge party location right by the beach in Lignano Pineta where hundreds of people from all over the region come to celebrate the summer and listen to tunes mixed by DJ's. One of the most modern bars of this vacation city is Tango Café at Piazza Fontana. 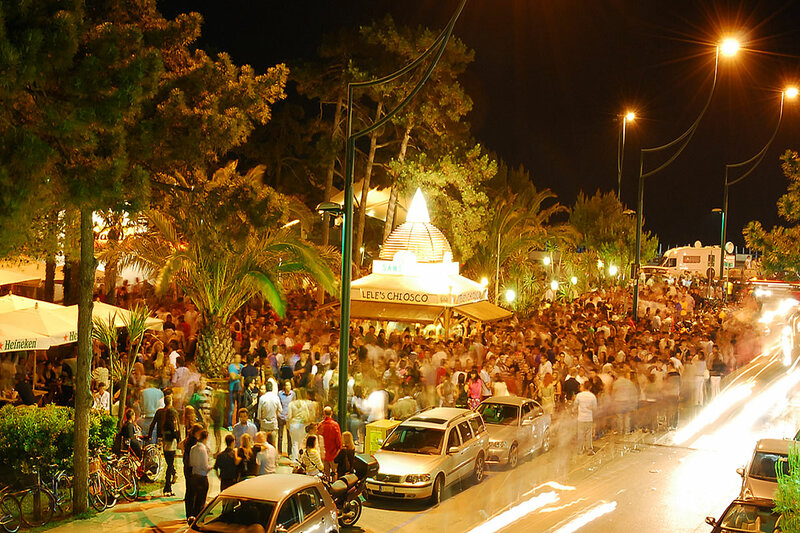 Theme nights such as the famous "white night" called "blancos" are waiting for the guests every Thursday night. Enjoy drinks, ice cream and cocktails at this stylish café that's more like a club.